Do you experience head spinning or everything around you is whirling all of a sudden? Do you feel off-balance? If you nodded along in agreement, you might be suffering from vertigo, a type of dizziness. And, if you are wondering what vertigo is and how to treat it, think no further. Let’s have a look at vertigo and its homeopathic treatment in detail. Feeling off-balance, nauseated, head spinning, or dizziness are some of the symptoms of vertigo. The symptoms of vertigo may get worse when you move your head or change its positions. Such kind of head-spinning feeling can last from seconds to days. Even the simple movements are unusually intense for people with vertigo, and they exert a major impact on routine life, thereby making an everyday living often torturous. Vertigo may occur due to disorder in structures in the ear, vestibular nerve, brain-stem or cerebellum and, in some cases, the cause is unknown. BPPV is one of the most common causes of vertigo due to which specific head movements cause vertigo. The inner ear sends signals to the brain regarding head and body movements relative to gravity which helps to maintain balance. BPPV occurs when calcium particles clump in canals of the inner ear causing a disturbance in signal transmission and certain head movements trigger vertigo. In this condition, there is a buildup of fluid and disturbance in the ear pressure which causes episodes of vertigo along with ringing in an ear (tinnitus) and the loss of hearing. Labyrinthitis is an inner ear infection caused by a cold or flu virus. It causes inflammation of the inner ear and nerves around causing vertigo. The systemic causes of vertigo include orthostatic hypotension, head injury, migraine, cardiovascular disorders, stroke, multiple sclerosis, etc. Common symptoms of minor head injury include lightheadedness, a spinning sensation, ringing in ears, and nausea. A severe head injury may lead to a loss of consciousness, seizures, and serious disorientation. A group of arteries supplies oxygen and vital nutrients to the brain and help in proper functioning which includes consciousness, coordination, and vision. Health problems, such as atherosclerosis, stroke, injury etc. make it difficult for blood to flow adequately to vital brain structures. It occurs when a part of the brain experiences a temporary lack of blood flow. Hypertension, diabetes, high cholesterol, atherosclerosis, and blood clots are common causes of TIA. Homeopathic medicines help to reduce the frequency, intensity, and duration of vertigo attacks and improve the quality of life. 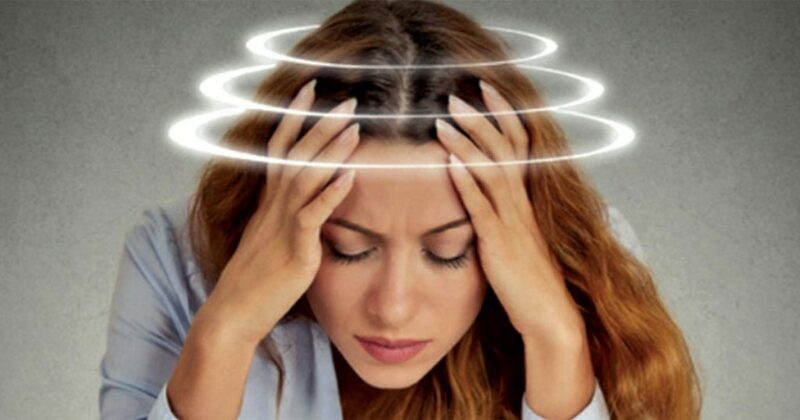 Often, the patients suffering from vertigo get anxious which may worsen the condition. Homeopathic medicines help in relieving the anxiety and slowing down the negative emotions. Homeopathy is a highly effective and safe method in the treatment of Vertigo. There are many homeopathic medicines which are effective in treating vertigo. A few of them are described here. It is one of the popular remedies for vertigo which is associated with nausea and which worsens with the sight or smell of food. It is used often for car or sea sickness when watching moving objects worsen dizziness. It is indicated when the affected person feels extremely weak, dizzy, and experiences an empty feeling in the head and stomach. It is one of the important remedies when dizziness affects you with a heaviness of eyelids due to which the person is unable to open the eyes. The vertigo-affected individual experiences difficulty in walking with a loss of balance and often lands up in a delirious state. It is known to be one of the best homeopathic medicines to treat dizziness which is associated with intense nausea and a sickening headache. Tabaccum is used to treat vertigo which turns worse by opening the eyes associated with nerve deafness and with an increased secretion from the eyes and mouth. Conium is a very effective homeopathic medicine wherein one suffers from vertigo when lying down, turning head sidewise, burning eyes, or turning over the bed. It is also recommended when vertigo turns worse by the slightest noise or conversation of others. Conium is used when vertigo is associated with a feeling as of foreign body under the skull. So, if you anytime happen to suffer from vertigo, see your doctor for a proper checkup. The doctor will examine you, do some tests, and figure out the possible cause of vertigo and guide you with the proper treatment. 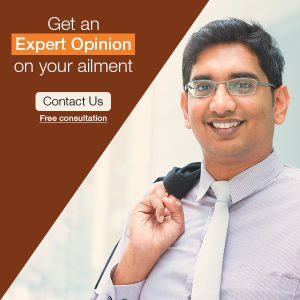 Also, you can count on homeopathy for vertigo treatment any time without a second thought and obtain relief from your discomfort.